REALTORS^® across our country raise and donate tons of money and volunteer countless hours of their time for the charities close to their hearts. The Canadian REALTORS Care^® Foundation is committed to sharing their stories with the hope of inspiring further good deeds. Take a look at this short video to see how much money was raised for charities over the last few years. Welcome to my web site and thanks for stopping by. Dedication to providing high quality service. 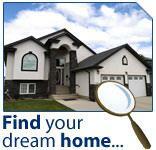 Just follow the links below to help you in your search for a new home. 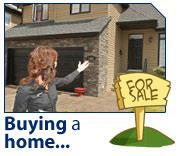 Would you like to receive up to date information on homes you are interested in? YOU CAN AND IT’S FREE…. Not only will you be notified by e-mail of all new listings in the Sarnia-Lambton area that match your search criteria within my web site, but your home search will also be compared against the Multiple Listings Service (MLS) within your desired area(s). 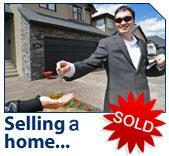 All new listings added to the system that match your criteria will be emailed to you. including links to all Sarnia-Lambton County MLS listings. Whether you’re buying your first home or you are an old hand at house buying, my goal is to make the process as simple and effective for you as possible. Buying your home is one of the most important purchases you will make, so make sure you have the right agent who can provide you with the experience and the service you deserve. Let me show you my Step by Step process. The selling process can be very complex and time consuming, however with the aid of my services, be certain that you will come away completely satisfied and stress free. 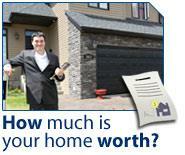 WHAT IS YOUR HOME WORTH IN TODAY’S HOT MARKET!! Your home may be worth more than you think .